Modern kendo has developed from a long tradition of Japanese swordsmanship; literally translated kendo means ‘way of the sword’. The samurai of Japan emerged as a powerful social force in the mid-12th century and ruled Japan for about 700 years, until the restoration of Emperor Meiji in 1868. During this time Bushido, ‘the way of the samurai’, was developed and refined with influences from Shinto, Confucian and Buddhist religions. Bushido was effectively a code of conduct for samurai, ennobling virtues such as loyalty, personal honour, composure and grace. The formation of the Great Japan Martial Virtues Association (the Dai Nippon Budokukai) in 1895 unified schools of swordsmanship, standardised forms and awarded ranks and titles to skilled practitioners. From this kendo was born, becoming part of the educational curriculum controlled by the government. The rise of national socialism in the early 1930s brought with it militarism, ultimately leading to the attack on Pearl Harbour in 1941. Following Japan’s defeat, kendo and the Budokukai were banned, as they were seen to be associated with the rise of militarism. In 1953, a year after the signing of the US-Japan peace treaty, the All Japan Kendo Federation (AJKF) was established, and kendo was again practiced as a means of physical and mental development. Today, kendo is practiced by about 7 million people in Japan and around the world. The way of the body – this includes proper stance, movement and holding of the sword. The way of the sword – this includes how to strike correctly and the timing of a strike. The way of the mind – this includes the development of the correct mental attitude. It is through the integration of all three of these components that kendo develops. In some regards, kendo may be viewed as a modern sport, where two armoured opponents face each other to score points by hitting defined targets with a bamboo sword (the shinai). However, the spirit of kendo has also survived through the ages as an unbroken tradition: to respect oneself and others, and to act positively without fear. 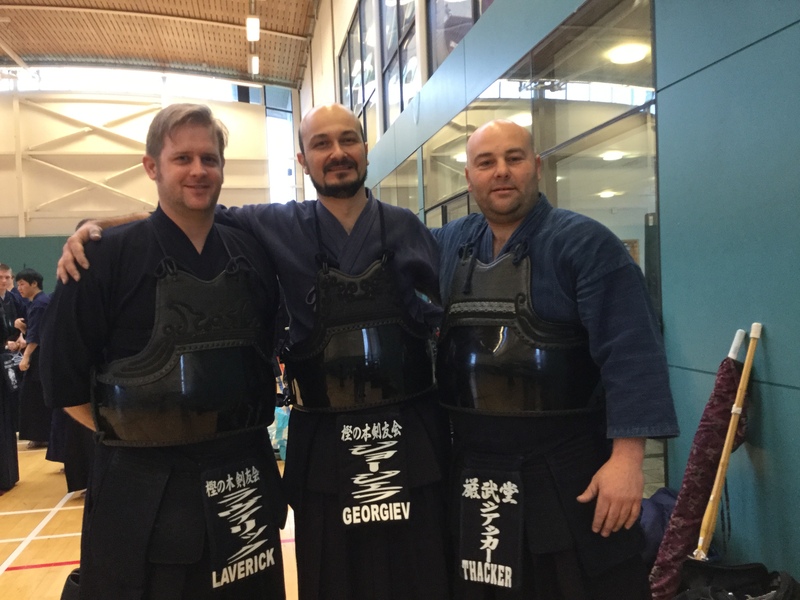 Not only does kendo help relieve stress and bring about a feeling of physical and mental well-being, it also helps to develop self confidence and assertiveness in a non-threatening environment.